Islam has taken its first step towards becoming an officially recognised religion in Italy, with major Muslim groups signing up to a government demand that all imams are registered and preach in the Italian language. Islam is the only major religion in Italy with no agreement with the State, leaving institutions unable to receive tax subsidies. Islamic weddings also have no legal status and Muslim workers are unable to take religious holidays off work. Official recognition for a religion in Italy does not merely depend on having a certain number of followers, but requires the principles of a religion to align with the Constitution. 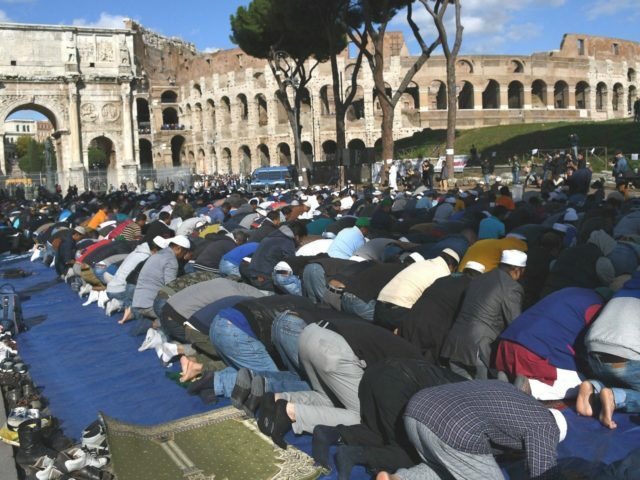 In February, Italy’s Interior Ministry and the country’s nine major Islamic associations signed a “National Pact for an Italian Islam” with the government vowing to “facilitate the path” toward the official recognition of Islam in Italy. In return, Muslim organisations have agreed to create a registry of their imams, who will be required to preach in Italian. No other religious group has been asked by authorities to hold sermons in Italian. According to a statement reported by Ansa Med, the document contains “a declaration of commitments by the Islamic organizations to strengthen dialogue and active collaboration with the interior ministry administration, continuing efforts to work against expressions of religious extremism and promoting a process of legal organization of Islamic organizations in harmony with the principles of current regulations on the issue of religious freedoms”. In January of this year, courses for Italian imams were announced, aiming to counter extremism and terrorism by teaching the Islamic leaders about the nation’s constitution and its values, such as free speech, tolerance, and pluralism. Italy’s estimated 1.6 million Muslims (3.7 per cent of the population) have only a handful of registered mosques to use and many pray in houses, some 800 cultural centres, and prayer rooms across the country.